AJCP551-69a, Atlanta Journal-Constitution Photographic Archives. Special Collections and Archives, Georgia State University Library. The 49th annual Country Music Association Awards ceremony will air at 8 pm on Wednesday, November 4th. We thought this would be the perfect opportunity to feature some of the many country music resources in the Digital Library of Georgia that are available to you. Many prominent country music artists hail from Georgia, including country music’s first commercial star Fiddlin’ John Carson, his daughter, Moonshine Kate, one of country music’s first female recording artists, guitarist and producer Chet Atkins, entertainer Jerry Reed, singer Brenda Lee, singer Alan Jackson, guitarist and singer Travis Tritt, and singer Trisha Yearwood. Many Georgia-based musicians have performed country music that is preserved in field recordings; there are also numerous oral history interviews with country music artists that provide insight into their musical influences and life experiences as musicians. 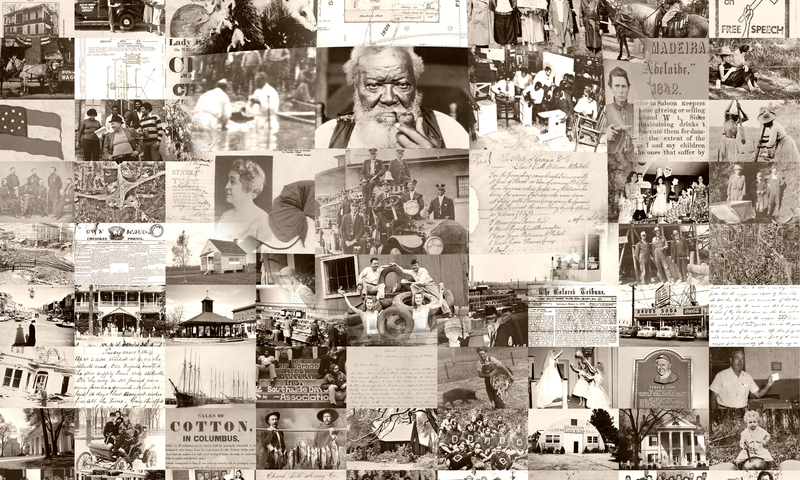 We have provided links to some examples from three collections: the Georgia Folklore Collection, the Foxfire Oral Histories, 2014 collection, and the Living Atlanta oral history collection. You can find more country music resources by browsing through these collections. Part one of a two-part recording. Recording of the Humphrey Family performing with other musicians, including Renee Joseph from Louisville, Georgia. Songs (incomplete list): We Had A Friend, Song: Melody [full title unknown], Traveling Blues, Blew My Last Chance Blues, Love’s Gonna Live Here, preceded by the introduction of Renee Joseph, Fifteen Years Ago, I Saw the Light, Heaven on My Mind, On This Road to Glory. Georgia Folklore Collection, Walter J. Brown Media Archives and Peabody Awards Collection, University of Georgia Libraries, Athens, Georgia. Part two of a two-part recording. Recording of the Humphrey Family performing with other musicians, including Renee Joseph from Louisville, Georgia. Songs include Golden Street Parade, That Wonderful Country, One Day At A Time – Old Ship Of Zion, See You On The Raptures, How Great Thou Art. Georgia Folklore Collection, Walter J. Brown Media Archives and Peabody Awards Collection, University of Georgia Libraries, Athens, Georgia. Part one of a three-part recording. Art Rosenbaum’s recording of Chesley Chancey and Joe Chancey in Cherry Log, Georgia. Songs: Mulberry Gap, Cumberland Gap, Frankie, Greenback, Cripple Creek, Old Joe Clark, Old Grey Mare, Bile Them Cabbage, Sourwood Holler, Sally Goodin, Eleven Cent Cotton, Gonna Lay Down My Old Guitar, Black Mountain Rag, Mole In The Ground. Georgia Folklore Collection, Walter J. Brown Media Archives and Peabody Awards Collection, University of Georgia Libraries, Athens, Georgia. Part two of a three-part recording. Art Rosenbaum’s recording of Chesley Chancey and Joe Chancey in Cherry Log, Georgia. Songs: All The Good Times, Poor Ex-Soldier, Cotton-Eyed Joe, Shout Lula, Turkey In The Straw, Arkansas Traveler, Cindy, Fisher’s Hornpipe, Rickett’s Hornpipe. Georgia Folklore Collection, Walter J. Brown Media Archives and Peabody Awards Collection, University of Georgia Libraries, Athens, Georgia. Part three of a three-part recording. 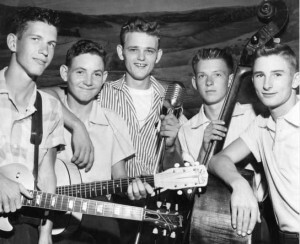 Art Rosenbaum’s recording of Ralph Chancey, Chesley Chancey, Joe Chancey, Jim Cox, and Bill Cox in Cherry Log, Georgia. Songs: Hills Of Old Virginia, Gold Rush, Will The Circle Be Unbroken, Will You Miss Me When I’m Gone, Go Down Moses, May You Never Be Alone Like Me, The Uncloudy Day. Georgia Folklore Collection, Walter J. Brown Media Archives and Peabody Awards Collection, University of Georgia Libraries, Athens, Georgia. Interview with Laura Monk, lead singer of High Cotton, c. 2014 in Rabun County, Georgia, for Foxfire magazine. She talks about the inspiration behind the song “Appalachian Goodbye” and filming the music video at the Foxfire museum. She also talks about how she got into music, the musical influences that led to her Americana style, and her favorite songs that she’s written. Foxfire Oral Histories, 2014. Foxfire Museum Heritage Center, Mountain City, Georgia. Three interviews with “Moonshine Kate,” one of country music’s first female recording artists. Oral history interview with Rosa Lee Carson Johnson (“Moonshine Kate”) interviewed by Clifford Kuhn on 1972-1980. Living Atlanta oral history project records, MSS 637, Kenan Research Center at the Atlanta History Center. Oral history interview with Rosa Lee Carson Johnson (“Moonshine Kate”) interviewed by Clifford Kuhn on 1979 February 15. We hope that you enjoy listening to some of these recordings and that you learn something new about the role of country music in Georgia!